Tropical Bottling is a top-rated copacker that serves beverage manufacturers throughout the United States. Our unparalleled co-packing services are top-rated, and as a comprehensive copacker, we have vast capabilities that you won’t find at other co-packing plants. At Tropical Bottling, we know that not all ready-to-drink (RTD) products have the same preparation, formulation, and packaging. That’s why we strive to provide our beverage manufacturers with more capabilities and options to better serve their unique needs. 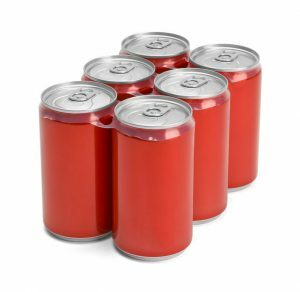 We are pleased to offer a wide variety of slim and regular can sizes (7.4 oz. – 16 oz.) along with an array of processes including cold fill, hot and cold fill flash pasteurization, HTST canning, reverse osmosis water treatment, multiple mixing technologies, and much more. We are an experienced copacker and regularly produce RTD products from our large, Miami-based facility. Our facility has all of the state-of-the-art equipment, tools and resources needed to expertly bottle and package your products. We even offer custom palletizing and in-house or 3rd party labeling to ensure that you have all of the comprehensive services you need under one roof. Additionally, our facility is Florida Department of Agriculture, HACCP and SQF Level II certified, so you can rest easy knowing that all of the products we produce can meet and exceed nearly any safety and quality assurance testing. Learn more about our certifications now. As a truly full-service copacker, we offer options you simply won’t find anywhere else. From our turnkey export services that save companies time and money by eliminating double handling costs to our trial run programs that were designed for brands that need a flexible copacker for flavor or formulation testing, we can be the copacker you need at any stage of the production process. Tropical Bottling is a highly-recommended copacker that is proud to serve beverage manufacturers from Florida, Georgia, Texas, Oklahoma, Arkansas and elsewhere throughout the US, so contact us today to learn more about our top-rated copacker services. We look forward to serving you!